Former hacker turned security researcher Cris Thomas has put forward a compelling case for why squirrels pose a far greater threat to critical infrastructure around the world than cyber attacks. Thomas, who is better known as SpaceRogue dating back to his time with the L0pht Heavy Industries hacker collective in Boston, made the argument in a presentation titled "35 Years of Cyberwar: The Squirrels Are Winning." 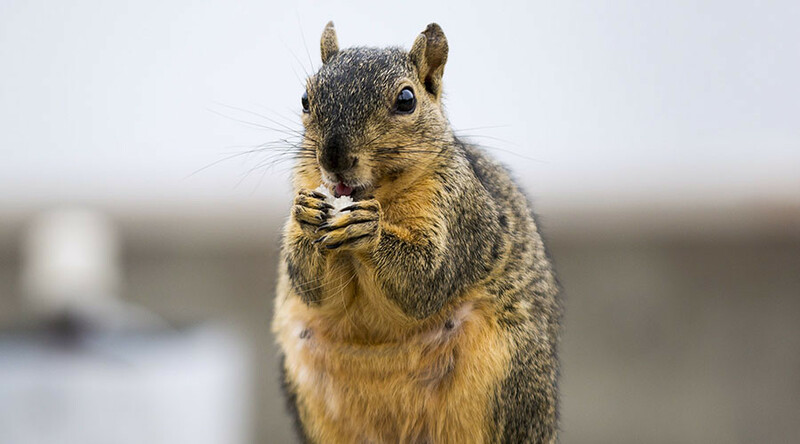 The data presented was collected as part of his Cyber Squirrel 1 project which gathers information on infrastructure outages caused by animals, of which squirrels are by far the biggest offender. Cyber Squirrel 1's data has so far has tracked "over 1,700 outages, affecting nearly 5 million people," Thomas told the ShmooCon hacker conference in Washington DC. "If you consolidated them into one location, it would basically take out the power for the San Francisco metropolitan area for two months." Squirrels have been found to be far the biggest cyber threat, chisseling out 879 outages. Birds, next in the pecking order, were responsible for 434, snakes slide in third with 83 while raccoons have 72 outages to their name. Meanwhile the site notes that there have been no confirmed cyber attacks by either Russia or China, and only one by the United States. Thomas said he started the project to counteract what he called the "ludicrousness of cyberwar claims by people at high levels in government and industry". Most of the "attacks" carried out by animals were on power cables but Thomas also discovered that jellyfish shaked in on the act, shutting down a Swedish nuclear power plant in 2013. He even identified eight deaths that were caused by animal attacks on infrastructure. Six of them were the result of squirrels gnawing down power lines that then hit people on the ground.